By looking at ARCHOS releases from IFA tradeshow held a few days ago in Berlin, it seems ARCHOS is now reproducing their tablet strategy on the smartphones, by flooding the market with a lot of devices. During the show, no less than 7 new phones were introduced in addition to the existing 2 models released last May. 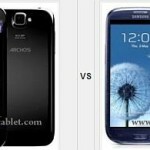 The cheaper model, the ARCHOS 35 Carbon is confirmed to be canceled as we could suspect. 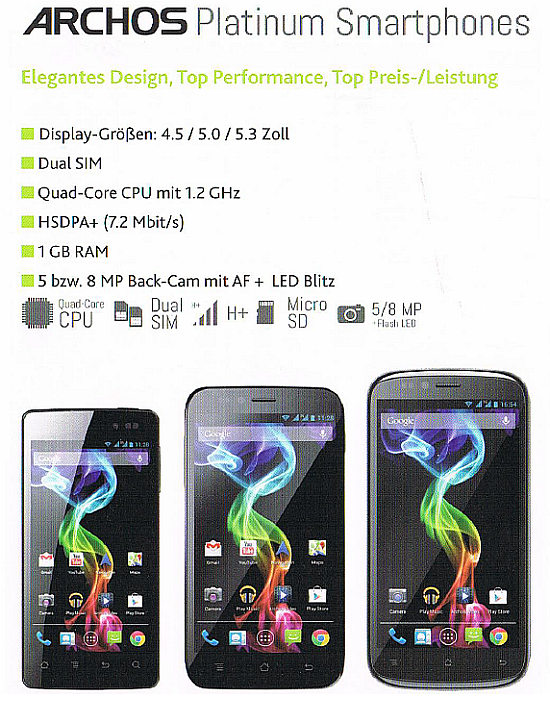 The ARCHOS Smartphone line is divided in 3 branches, which first two follow the naming from ARCHOS tablets activity: Titanium for lower cost models and Platinum for mid-range. 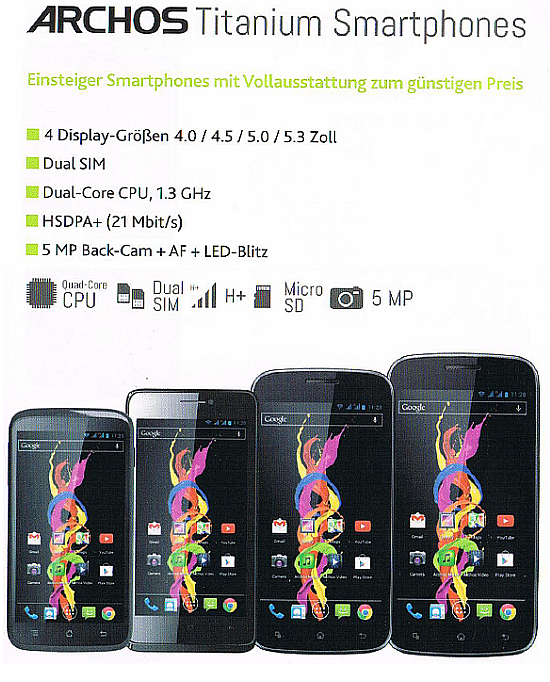 The 50 Oxygen phone is a new phone which just starts the Oxygen line and appears to be in the higher end category for the vendor. 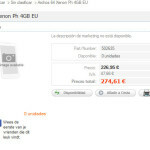 Thanks to our friend from jbmm.fr, we’ve now got some details on the new phones specs and prices. 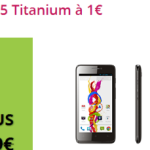 The new Titanium 40 should be selling for €99, the Titanium 45 for €129, the older models should see their prices reduced since June 2013: Titanium 50 at €149 and Titanium 53 at €149. The ARCHOS Platinum phones are middle/low range as current standards, they provide a relatively low processing performance compared to similar priced devices from the competition using MTK6589 such as the Acer Liquid E2. 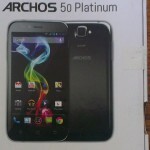 Check our ARCHOS 50 Platinum and smartphones videos. The Oxygen is the higher-end model from ARCHOS, featuring a MediaTek MTK6589T quad-core ARM Cortex-A7 processor and the HD resolution (1920×1080) display, 2 cameras (5 MPix front, 13 MPix rear). 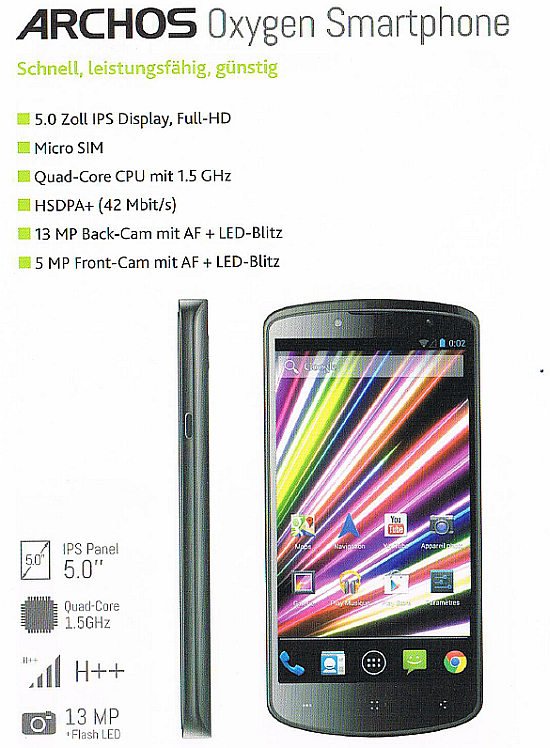 The ARCHOS 50 Oxygen should be available in October for €299. 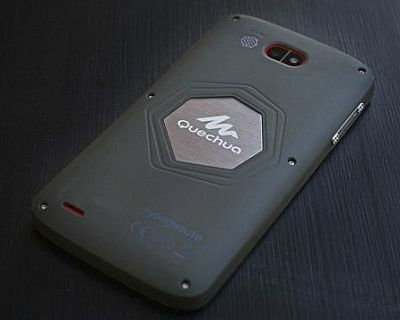 This model was not officially introduced at IFA, but it has been seen there, you can read me about it in our Quechua Phone 5 article. Looking at these 9 smartphone models, while there is a lot to choose from, we couldn’t find one that is particularly appealing in term of features, specification, design or even price. All these devices are just in the average of the existing offers from Chinese vendors such as Xiaomi or from Taiwanese models like Acer Liquid devices. They didn’t even release the promised accessories for the phones they already released (Platinum 50/53) and instead of “supporting” current users they are releasing new phones again? Why would I ever consider buying something from Archos again? Not sure which accessories you are referring to ?